How do us paid members from the old CCB site redeem our $40 credit in the Mellencamp.com store? I got an email about this a few weeks ago but the coupon code included in that email doesn't work. Thanks. The email that was sent out 2 or 3 Friday's ago was a glitch. The true email should go out early next week. The email was the same but the leg work hadn't been done to put the codes in. However that email went out to more people than those who were still paid members as of August 1st. Email help@mellencamp.com if you have more questions about it. Thanks. Just wanted to make sure I didn't miss the email or something. I am browsing through the "store" and there are many items that say CONTINUE and so when I click on it redirects me to Amazon.com and there is not a way that I can figure out how to get this item in my "Shopping Cart" on the mellencamp.com store. Is this because the item is sold out or temporarily unavailable? Since some of us who paid their memberships on Club Cherry Bomb will be getting a 40.00 voucher, we will be shopping soon if not already. The item I was trying to put in my cart is the Farm Aid Book. Please advise Tony. If the item says CONTINUE, that means that the Mellencamp.com Store does not have the product "In Stock" at Fanfire so they send you somewhere else by a link if you click "continue" so you can try purchase it where ever the link takes you. Most of the time the link is sold out too. This is correct. Many items in the FanFire/Official Mellencamp Store are just links that take you to 3rd party sellers, like Amazon.com. 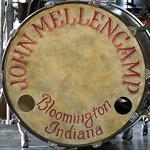 We list most of the notable Mellencamp releases in the Official Store and link them to Amazon. Unfortunately items go in and out of stock on Amazon.com, and often the item we link to is ONLY available used or from a secondary seller on Amazon.com. In the case of the Farm Aid book you discuss it was put on steep discount a year or so ago so you might want to check half.com or the book seller websites. I think I saw it in store one time for $7 at a Borders. The store vouchers do no apply to purchases made at Amazon.com or any item who's link says CONTINUE in the store. The vouchers only apply to merchandise sold by FanFire/Live Nation Merchandise such as concert shirts, select CD's, posters etc.